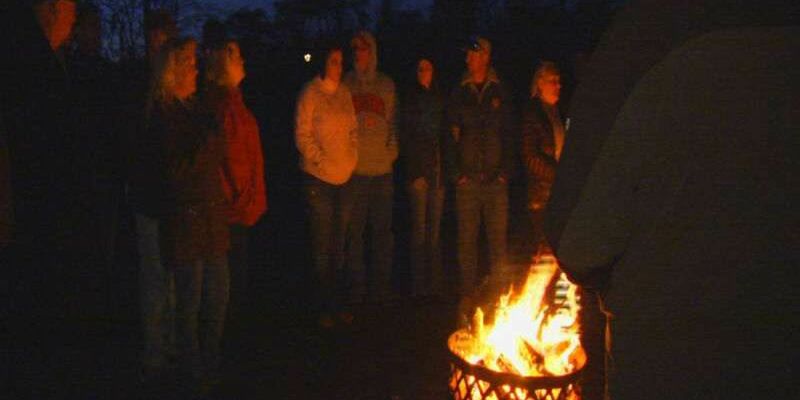 HORRY COUNTY, SC (WMBF) - Dozens held hands in solidarity at the vigil for Heather Elvis Tuesday night to show their support for her family and their loss. Tuesday, November 18 is the 11-month anniversary since Heather Elvis, 20, went missing. Despite the freezing temperatures, the circle of hugs, prayers, and words of encouragement were enough to warm the heart. "Well it's a tragic event and we love the Elvis family and it's important they know it's not just a one-time event, that we're here always and regardless," said longtime family friend Paul Yurkin. The Elvis family said support helps their family hold on to hope for Heather. The evening vigil was held around a fire pit at the Peachtree Landing, the place where Heather's vehicle was found, but not her. Supporters, family and friends came from near and far. "Despite the cold, I think the love and support is warmth enough for the family, and to see all these people continue to come out here even though it's cold shows a lot," explained Yurkin. Linda Haley told WMBF News she didn't know much about Heather and her family before she went missing, but she is now connected to the family. In March of last year, she learned the family needed help distributing flyers, and she joined in to help. Haley said she has been inspired by the family's strength and Heather's story. "I meet Heather's friends when I am out passing out flyers and little kids come up to me that she taught at her church and they always ask, because you can't see tonight, but I have the [Heather Elvis] t-shirt on, they ask if Heather's been found and that's what keep me going," Haley said. The family says their vigils are not just for Heather, but to bring awareness to other cases involving missing people, to help bring closure for other families. Haley said, "I think it brings people together for more awareness that communities should help each other and make the Grand Strand area a safer place to live in by sticking together." The family has a plan for next month which will mark the one-year anniversary since Heather Elvis disappeared. They are working to compile a book that will feature stories about Heather - stories that will hopefully be shared, so others will know about Heather.